The team at Tower Lifts is always delighted to create long-term relationships with our clients, especially when the brand is a global heavyweight like JD Sports. Our first installation for the ‘Undisputed King of Trainers’ was at one of their many stores in Ireland where they were looking for a reliable solution to the transportation of goods from the warehouse to the shop floor without requiring sales assistants to leave their customer-facing posts. We installed the popular and ingenious dumb waiter lift and – as they say – the rest is history! We have now installed platform lift solutions in JD Stores across the UK, including Doncaster, Luton, Coventry and New Bond Street, London. Tower Lifts has been asked to install a screw driven platform lift for the JD Sports store at the Broughton Park shopping centre in Chester. The screw driven mechanism is used when the operating environment lacks the spatial measurements necessary for a lift shaft. The machine-room-less model locates the motor and the controller in the hoistway, making the lift an ideal solution for retail outlets requiring fast and efficient installation, with minimal disruption to trading. Disability access is now a top priority for retailers, and Tower Lifts is experiencing steady growth in demand for lifts which can offer customers with limited mobility, impaired eyesight, or breathing conditions, full access to their stores. 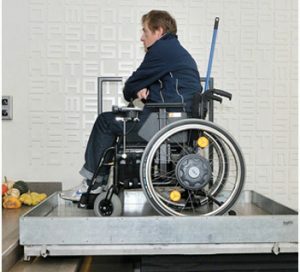 The screw driven platform lift is also known as the wheelchair lift because it is capable of bearing heavy loads, and can be fully customised to provide a smooth, safe, and reliable form of vertical transport between floors. Over the past two decades the lift design and installation team at Tower Lifts has learnt that developing long-term relationships with clients is all about providing more than fist-class installations. We work with our clients on problems that are causing concern to the business, and our highly-experienced designers can demonstrate the Return on Investment that can be expected from using vertical transport to enhance existing business and attract new customers to stores. 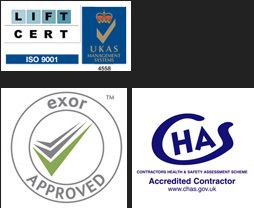 In the 21st century, business clients are looking for vendors who can offer more than the standard skill-set; at Tower Lifts we work hard to ensure that our advice, experience, and installation is second to none.